I can remember growing up and getting so excited when I got a new baseball or I remember getting my first baseball glove. It was a Ken Holtzman autographed glove that I slept with for days. 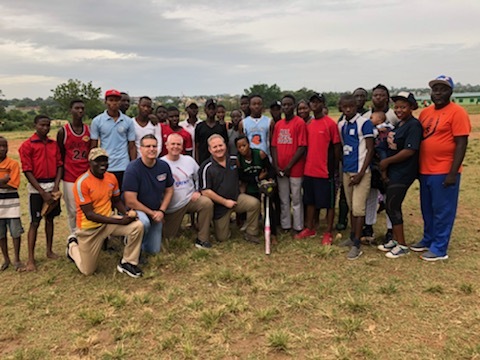 I fell in love with the game of baseball at a very early age and carried that love through playing high school, college and into coaching college for 18 years and running a baseball academy; but what I witnessed yesterday on a field here in Ilorin, Nigeria took the love one has for the game to a whole new level! 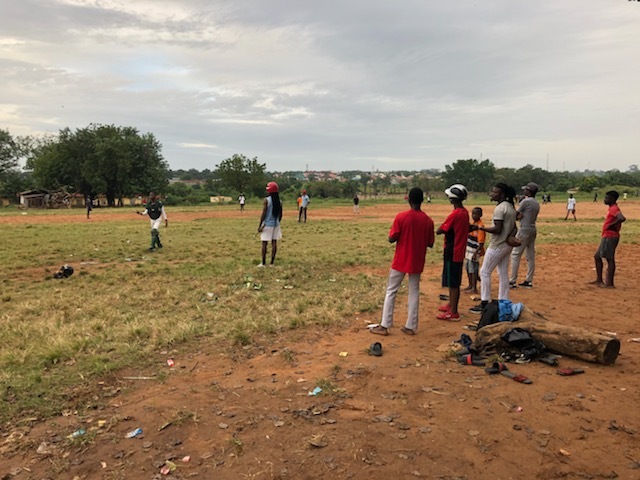 What I saw I have witnessed in Croatia for baseball and across The Balkans for football, but to observe young men practicing on a field with no shoes brought the level of commitment to a whole new level. 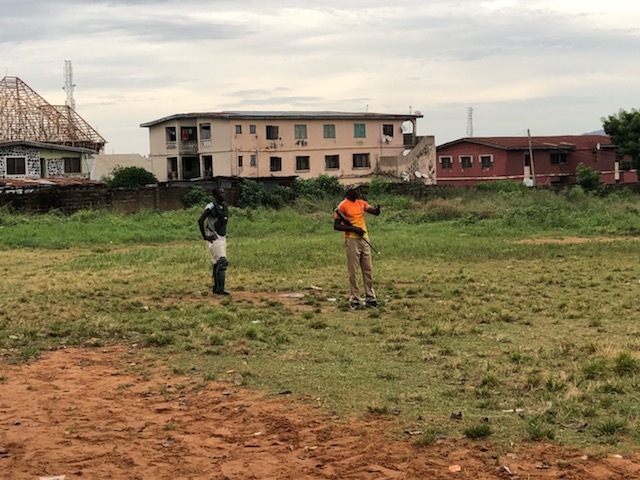 As I observed their coach take the players through practice I saw the catcher in full gear, but he had no shoes! The center fielder went flying across the field to back up the right fielder and he had no shoes! 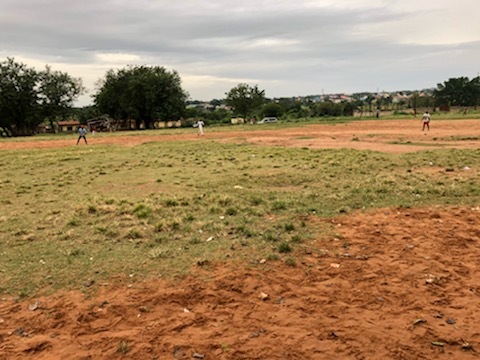 Then there was a ball that got past the catcher and one the kids off the sidelines went sprinting through the weeds, full of thistles and weeds and he also had no shoes! I had heard this story from others in ministry, but never thought I would witness it myself! What an incredible sight of kids with a desire and who wouldn’t allow anything to stop them. Coach leading the team. Notice the catcher's feet! Another Field of Weeds => Dreams => Faith! We appreciate each of your prayers and the love and support you have shown us! Please continue to lift us up in prayer and know that your prayers are being felt and answered! We are tired but blessed by each opportunity! Blessings and remember Jesus loves you and so do I!